British lawmakers will vote on Wednesday on whether Britain should quit the European Union without a deal, a scenario that business leaders warn would bring chaos to markets and supply chains. British Parliament on Tuesday rejected Prime Minister Theresa May’s deal to quit the European Union, thrusting Brexit into turmoil just 17 days before the planned departure date. 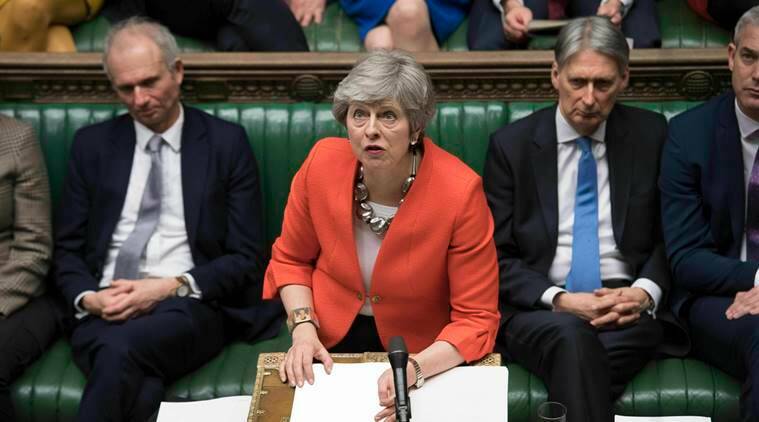 With last-minute concessions offered from the European Union, May had hoped that it would be enough to turn things around but many politicians dismissed those changes as ineffectual or cosmetic and voted against the deal 391-242. The absurdity of the situation and complicated nature of the whole deal has left many confused. There are question marks galore over trade deals, movement of goods, hard border with Northern Ireland to name just a few. So much so, former England captain Michael Vaughan asked on Twitter, “Brexit is now very very confusing … Please describe to me what’s happening in Cricketing terms !!!!! !” You can’t really blame him, can you? Twitter spoke up and had hilarious explanations. Actor Hugh Grant summed up the feeling for most Britons in simple terms, “Squeaky bum” alluding to being under severe pressure late on. Brexit is now very very confusing … Please describe to me what’s happening in Cricketing terms !!!!!! We started the 4th innings at lunch on day 5, chasing 600 on a road. Someone convinced Root to let the team vote on whether to bat on for the draw or go for the win. Rain stopped play. The umpires have move to Bermuda. There is no ball. England v Australia in the 5th test at Lords. It’s Day 5 and Aus are on 1400-0 in their first innings. Everyone has left except a group of blokes in their Union Jack shorts drinking Carling insisting ‘we can still win’ & ‘we invented this game’. Like a packed ground full of ordinary people that have paid to be there, and a couple of people who are being paid to be there take out lightmetres and decide the rest of us aren’t able to see for ourselves. British lawmakers will now vote on Wednesday on whether Britain should quit the European Union without a deal, a scenario that business leaders warn would bring chaos to markets and supply chains, and other critics say could cause shortages of food and medicines. In the original referendum in 2016, Britons voted by 52-48 percent to leave the EU but the decision has divided the main parties while also exposing deep rifts in British society, bringing concerns about immigration and globalisation to the fore.